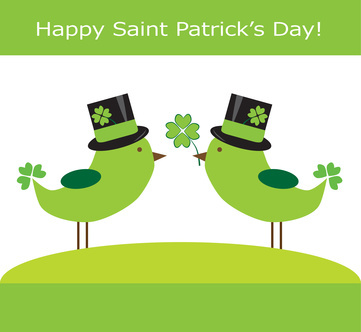 St. Paddy's Day is a great time to enjoy some fun craft projects. Share the holiday with your friends and family by sending fun cards. Make sure that you remember to wear something green on St. Paddy's Day. If you want to really go wild, make sure to wear lots of green. To make cards you will want to get some nice paper. White makes a nice contrast if you want to include green decorations. I also suggest that you find some green envelopes to send or give your cards in. A colored envelope is a great addition to your cards. You might also want to find a green pen to write any messages in. When St. Paddy's Day is near you can look at your local craft store to see if you can find any fun green and shamrock decorations. You may be able to find some green shamrock shaped doilies, which could be fun, among other excellent decorations. Start by cutting out the paper into card shapes and sizes. I like to cut postcard shaped cards, without a fold in half. One side of the card can be used for decoration and the other side can be used for a message. After you have your card shapes you can start decorating them. You can draw a picture or use stamps or some other type of decoration. One fantastic idea for decoration is to create a shamrock shaped stamp. If you have a heart shaped stamp you can use green ink and arrange the hearts with the points arranged together, one on the left one on the right and one pointing up. Finish the stamp by drawing a slightly curved stem going down from the center. You can use a picture of a shamrock as a reference. If you don't have a heart shaped stamp you can make a heart shaped stamp using a potato. You can see the article about apple and potato stamps to create a shamrock stamp. Use green paint to act as ink. After you have decorated your cards, either with different pictures or the same picture you can write your message. Finish by allowing the cards to dry, then put them in addressed envelopes and mail them to all of your friends and family.